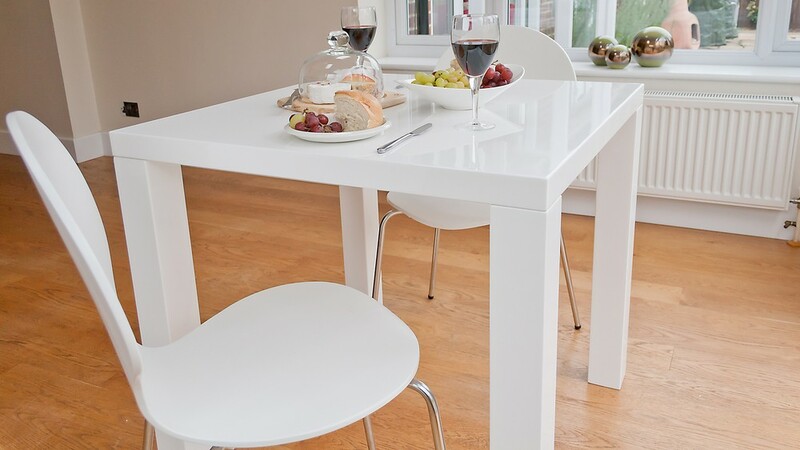 The simple style and structure of the Fern White Gloss Kitchen Table makes it such a versatile piece that'll stay looking cutting edge for years to come. 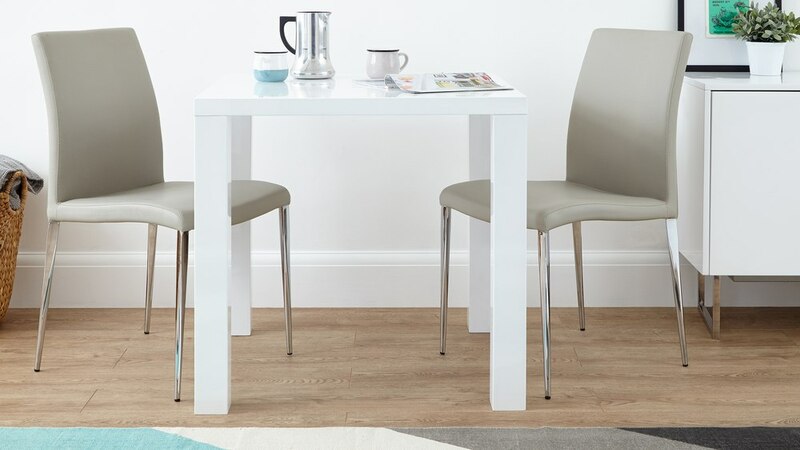 With its clean, crisp white gloss finish and small yet substantial shape, the Fern kitchen table would look right at home in a kitchen diner or perhaps in a dining room where you are a little pushed for space. 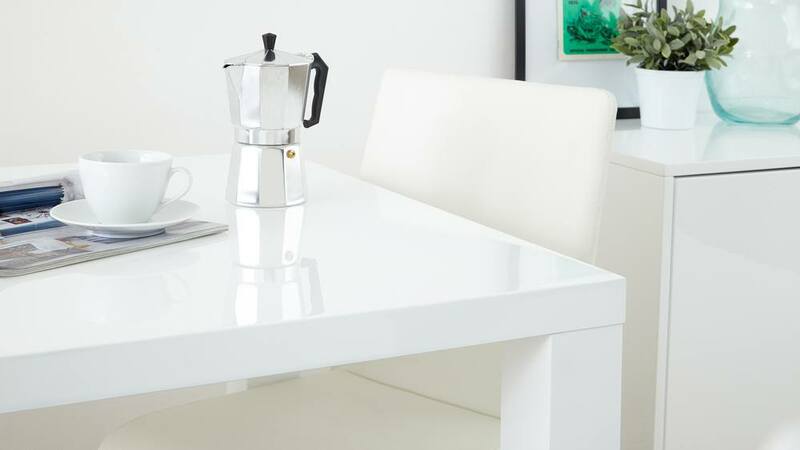 Wherever you choose to place it, the Fern White Gloss Kitchen Table will be such a useful and stylish addition to your home. 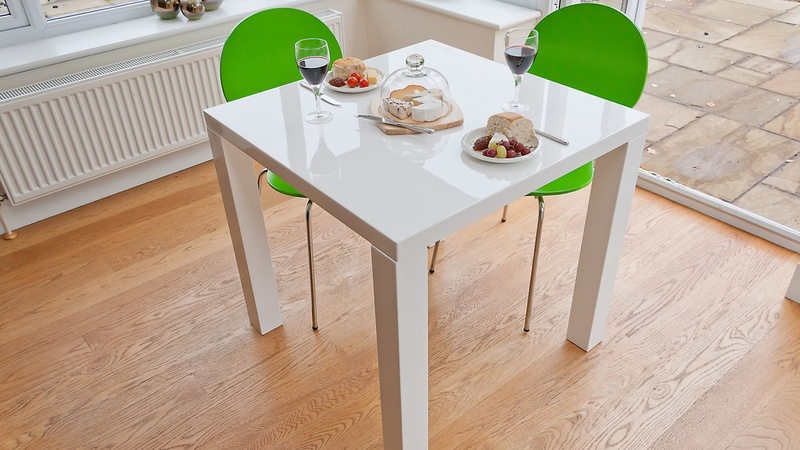 The Fern Kitchen Table is made from quality lacquered MDF with a white high gloss surface. 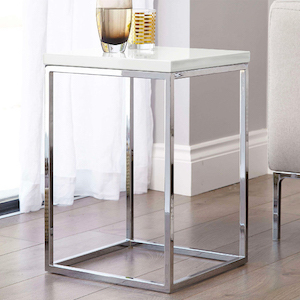 This material choice results in the Fern being a really strong and durable piece of furniture. 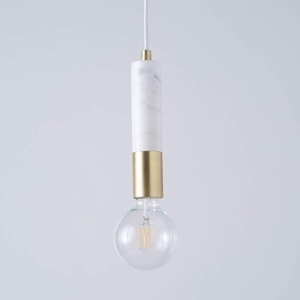 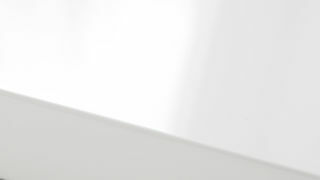 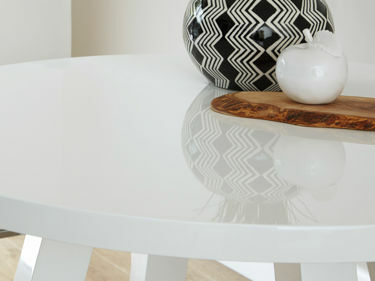 White high gloss is known for bringing a light and open feel to a space, alongside a sleek and modern appearance. 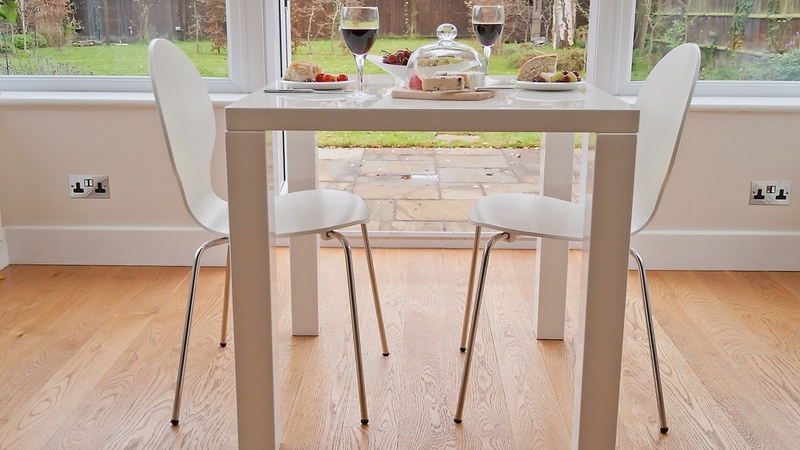 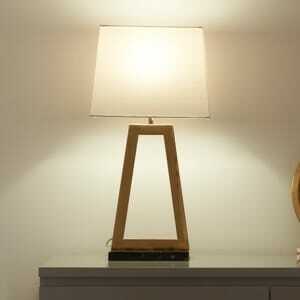 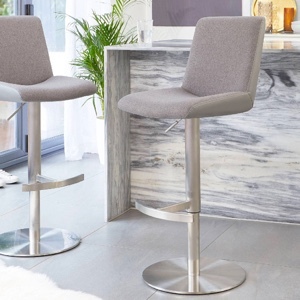 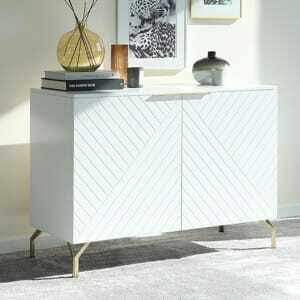 This makes it an ideal finish for a smaller design of table as it really gives the illusion of more space. 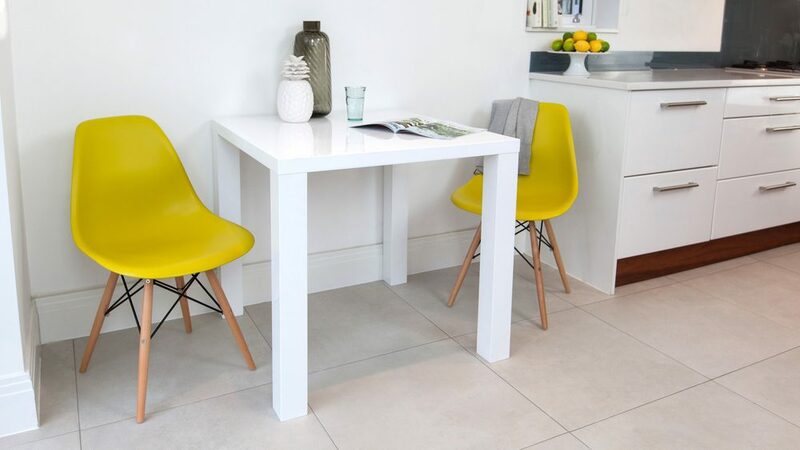 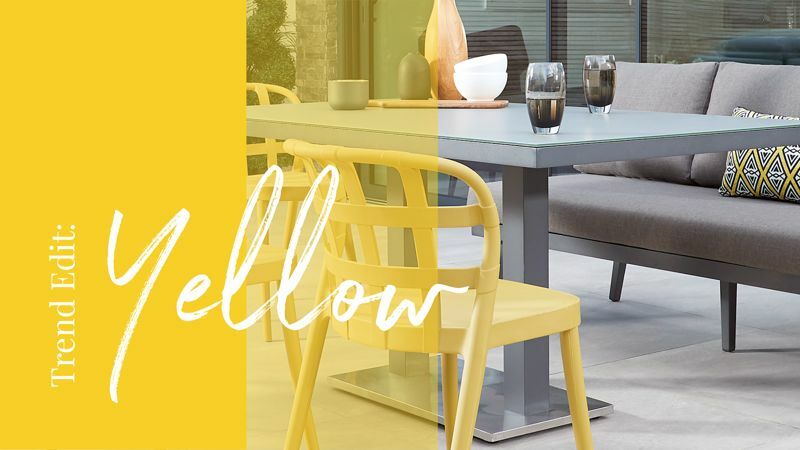 High gloss white also looks fabulous when combined with other colours, textures and materials, so if you've got wood, granite, tiles or acrylic in your kitchen this table will fit in a treat! 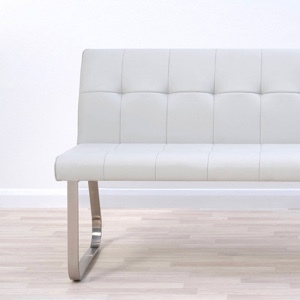 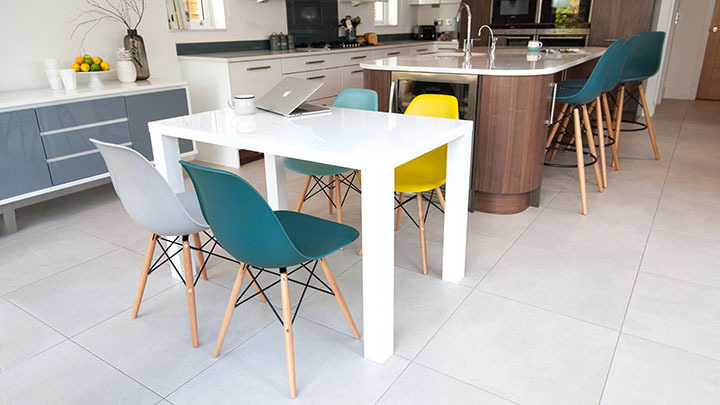 The Fern White Gloss Kitchen Table seats up to 4 people. 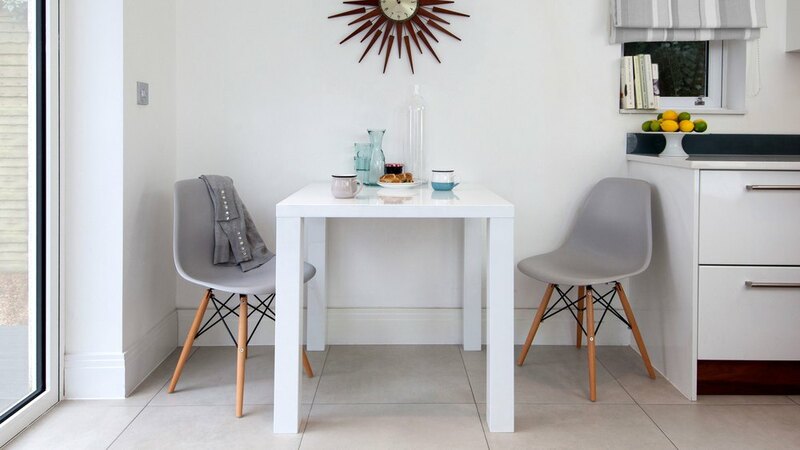 This makes it ideal for smaller families or for placement in a kitchen diner, where you don't need to seat lots of dinner guests. 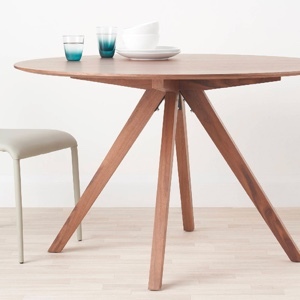 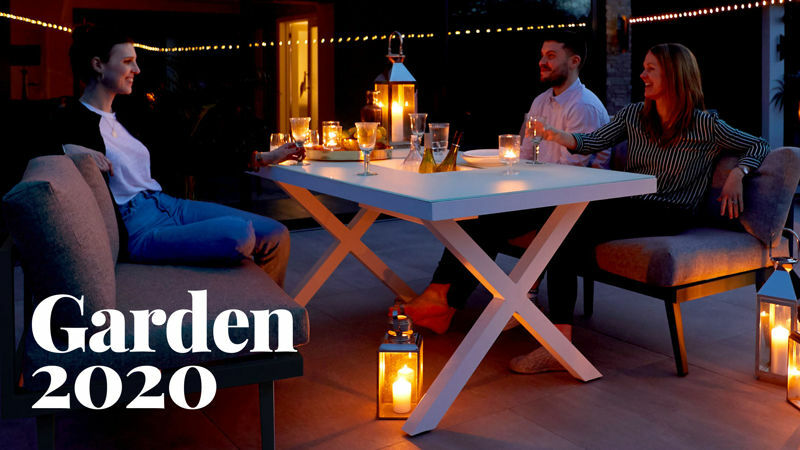 The Fern table is multifunctional too, due to its clever sizing. 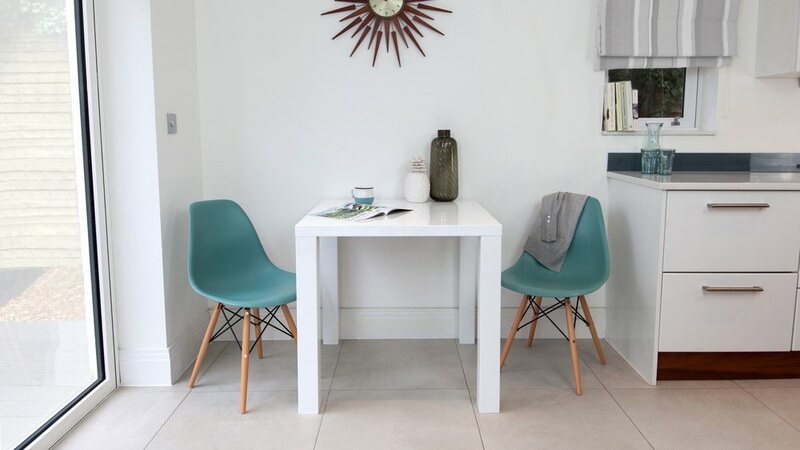 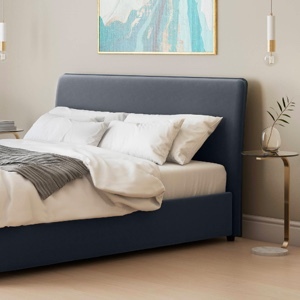 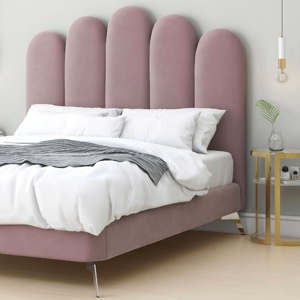 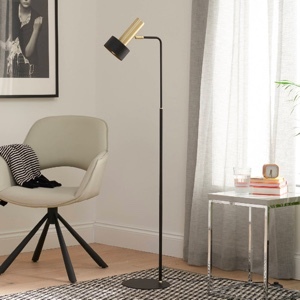 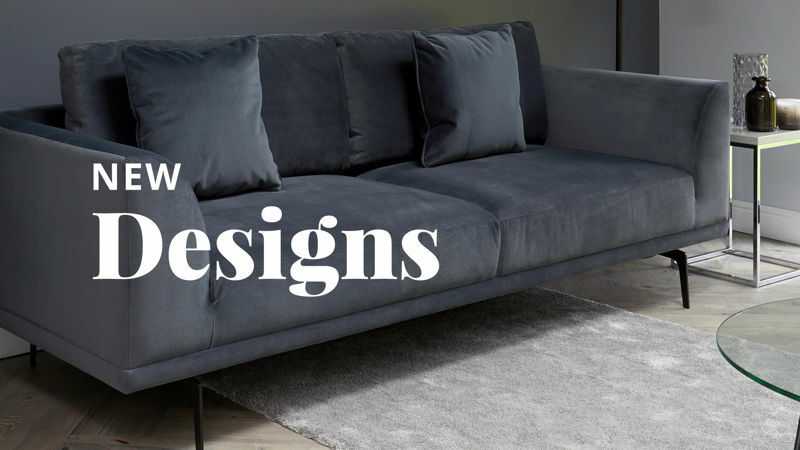 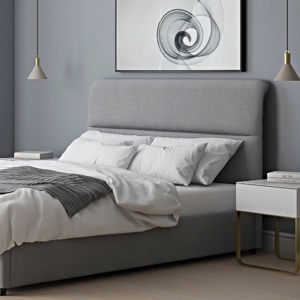 Its design means it is small without looking meagre in relation to the rest of the space, while also being able to double up as a desk or workspace, really making the most of the space you have to offer. 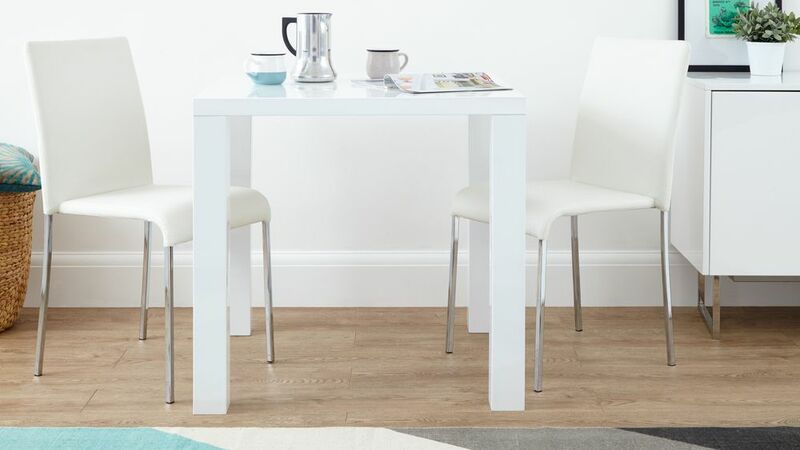 The Fern White Gloss Kitchen Table is sleek, simple and timeless. 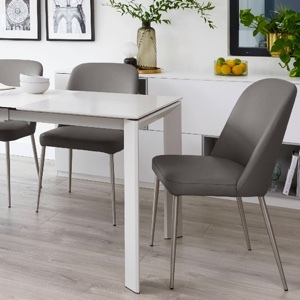 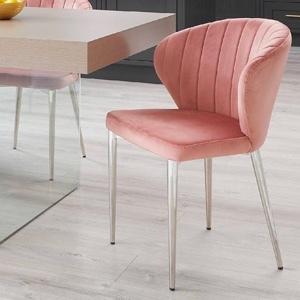 Pair the Fern with a stylish set of dining chairs, such as the Fern, the Tori or the Elise for a truly designer look. 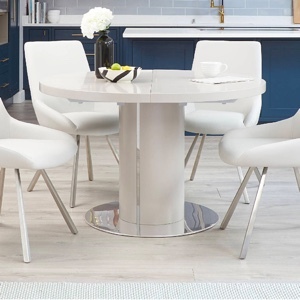 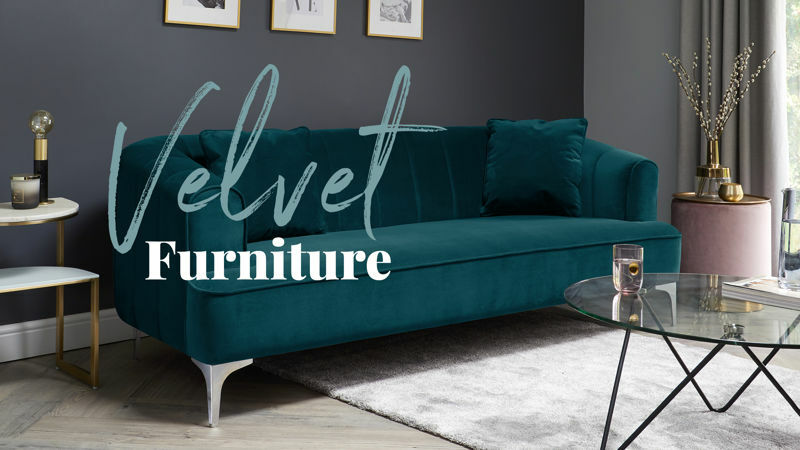 This size of Fern table is also available in our exclusive dove grey gloss if you are after an equally as contemporary but slightly warmer table finish.